Here’s a guide to family bushcraft courses ranging from 1 day courses to overnighters across the UK. 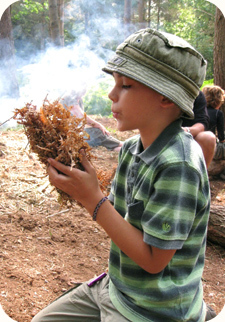 Kids will love being out in the woods actively learning simple bushcraft and survival skills. There are fun-filled family courses for families and also ‘kids only’ days/camps listed here. The whole family will enjoy experiencing nature in such an interactive way and it’s certainly a different way to spend your time! HIGHLIGHTS: Wilderness bushcraft activities including survival skills (shelter building, camp fire, wild teas), geocaching, producing fish hooks, wilderness walk, making string from nettles and more. HOW TO DO IT: Suitable for children aged 8 and over. The course is run at the Field Studies Council centre in Blencathra, Lake District and costs £170 per adult and £135 per child. Includes all meals, accommodation & transport and sleeping in a family room. HIGHLIGHTS: An introduction to bushcraft for families covering firelighting, knotwork, water collection/preperation, shelter. HOW TO DO IT: Adult £70, child £40. Based at Glen Nevis (near Fort William), Scotland and Nutley, Sussex (dates for Sussex include 4 May, 16 June, 13 July). 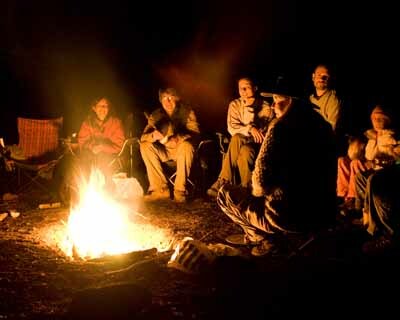 HIGHLIGHTS: This 2 night course will give you the knowledge of the core skills involved in bushcraft: making a campfire, shelters, nature awareness, animal tracking, useful plant & tree recognition, campfire games & stories. HOW TO DO IT: The base is an expedition style camp in East Sussex, near Uckfield. The camp is in private woodland with lots of wildlife including deer, owls, badgers, fox and butterflies. Course run 5 April and 28 May and costs £225 per person.